When we think of summer, a range of different activities come up (swimming, hiking, etc.) – and one of the most awaited summer activities is undoubtedly firing up a grill and enjoying some cheerful company with friends and family. Be it your garden, outdoor kitchen, the patio, poolside or your backyard, the grill scores high when it comes to being one of the most popular summer hangouts. After all, it only takes half an excuse to open up a bag of charcoal / firewood! 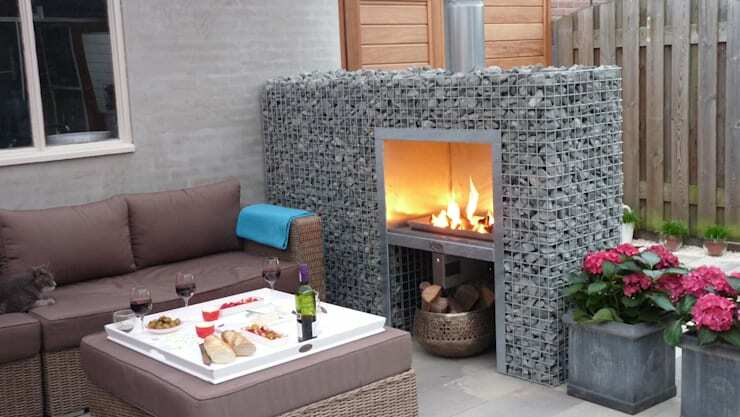 So, to offer you yet another excuse to sizzle up some sensational socialising, we at homify bring you 9 fantastic braai designs for your home that are bound to let you enjoy the remaining summer months to the fullest. The contemporary details of this well-equipped structure are enough to lure anyone outside. The basic grid structural framework covers the entire braai area, housing everything you need for a singular patio experience: proper tables, ample space to sit, a charming bar to entertain the guests and, of course, a splendid braai grill ready to dish up five-star goodness. Granted, most braais do not look like this – which is why you need to have it, right? 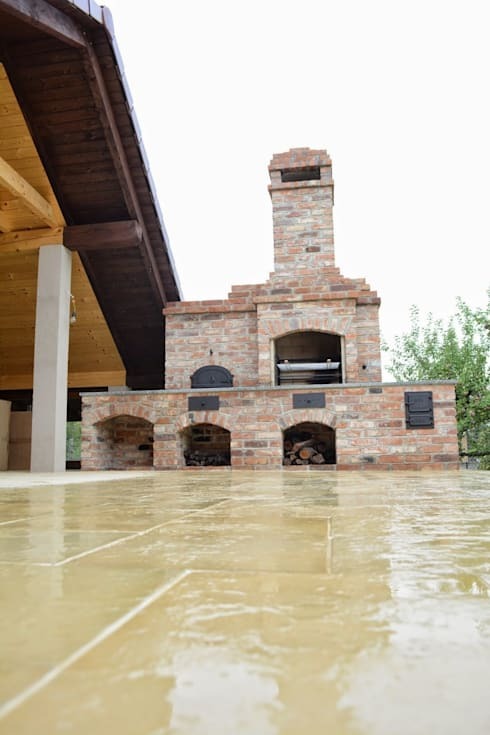 With a design conveying curved lines and a striking brick structure, this braai has been tastefully crafted and is just the element to visually update your garden or yard. Next up is this attractively rustic model that is the focal point of this enormous patio. 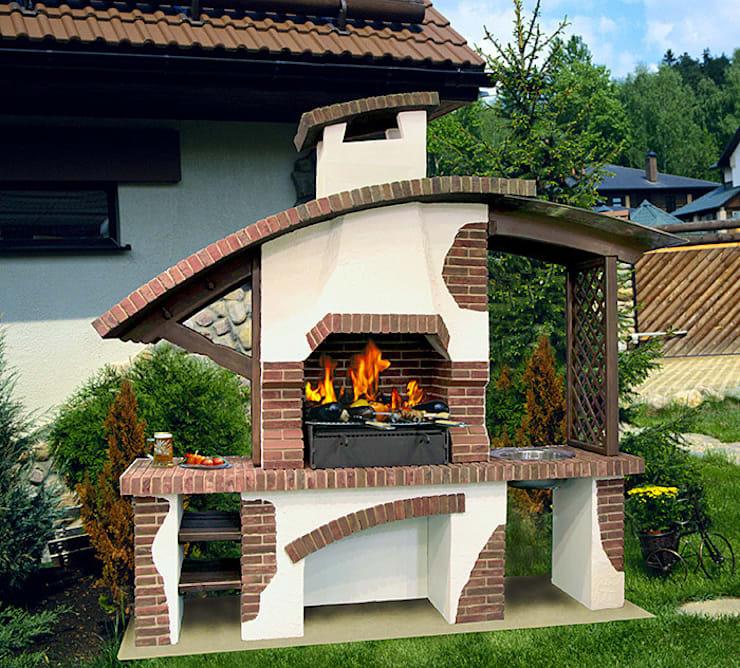 Made of bricks with ample storage space for logs, charcoal and other necessary goodies, as well as presenting a fireplace and an oven, this eye-catching braai could very well be any outdoor kitchen lover’s fantasy. Speaking of masonry models, this sturdier and more elegant alternative is definitely also a prime option. 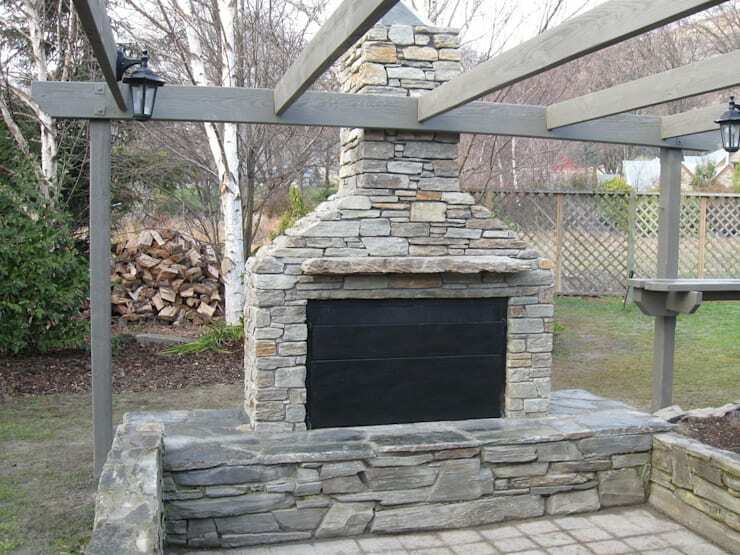 Built from stone pieces, this braai imparts an imposing country feel to the outdoor space. A timber pergola completes the picture quite nicely. Bringing together stone, brick and steel, as well as a wrought-iron cover, a really simple grill has been created here, along with a counter for food preparation. 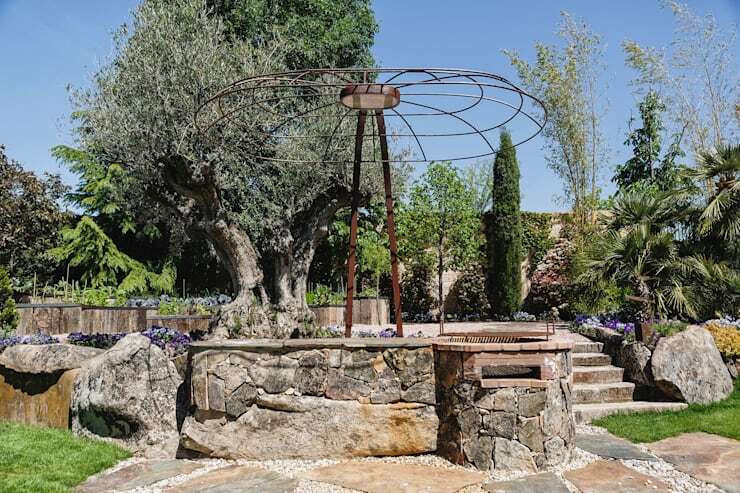 The smart underlying concept beautifully manages to make the whole thing look like a visually sound sculpture – a pure must-have for any garden! A gabion with stones conjures up this contemporary creation. Uncomplicated with straight lines, this minimalist model shows off a very original and elegant look while the terrace seems to be most inviting thanks to the outdoor seating and potted plants. 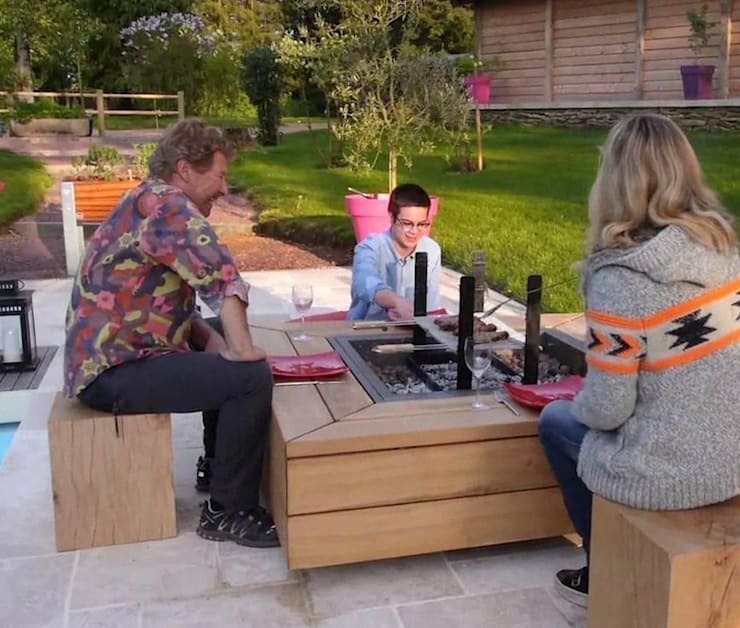 The braai design shown in the image, with the grill at the centre of the table, creates a unique harmony among the people sitting around it. As the grill is within easy reach of everyone, it allows each diner to roast up their food to their desired taste. And we just love how the light timber details magnify the comfy accents to enhance the wholesomeness of the meal. Changing the dynamics of your typical ‘braai’ ever so slightly (but still allowing a well-prepared meal to be shared by everyone outside) is this wood-fire oven. It is still ideal for cooking a dish of choice outdoors, whether it’s in the garden or the courtyard. 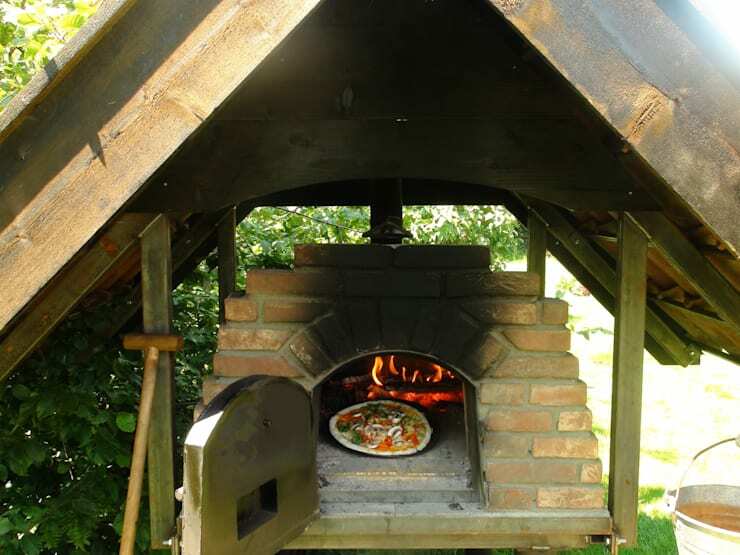 After all, a freshly baked pizza in the back yard can also go perfect with summer. 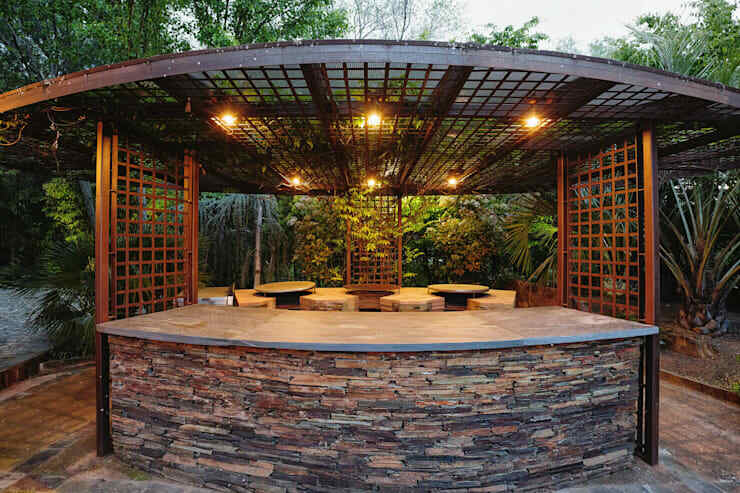 This singular braai structure with a steel sheet base flaunts a graceful organic form that moves away from the traditional braai format. 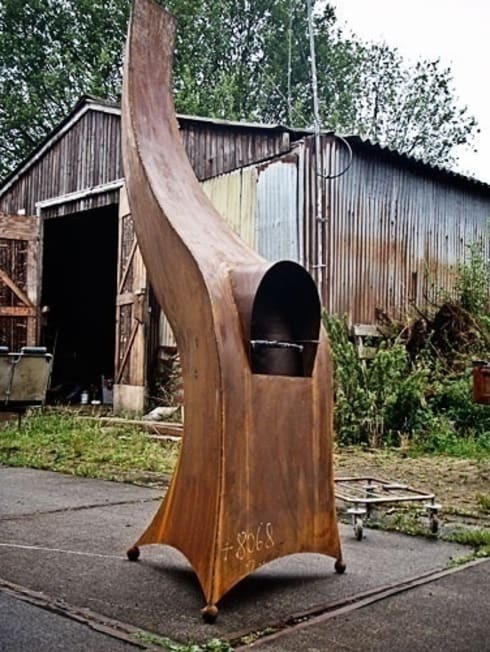 A true piece of art, this one will add both functionality and artistic style to your garden. Don’t miss these: 12 mouth watering ideas for South African gardens. Which of these is pure perfection for your summer socialising?